The government’s ParliamentToday website (23/03/16) has attempted the usual ‘spin’ with the latest apprenticeship figures, pointing to 84 000 starts by under 19 year olds between August 2015 and January 2016 and to 366,000 across all levels and age groups during the current parliament. 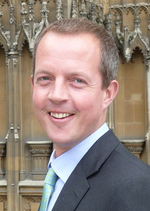 Skills Minister Nick Boles also told the site there has been a ‘dramatic increase in the number of higher apprenticeships’ with 11 000 more starts since last August. In fact the total number of new starts (251 000) for the last six months just about keeps up with the 500 000 starts for the previous twelve, while those by under 19 year olds only just tops the figure for the same period last year (83,400) . As for Mr Boles dramatic increase in Highers, only about a third of these starts were by people under 25.